Dominique must have felt that John had finally got the message this time because he moved out of their house and after 4 weeks of being away, she decided to get the locks changed and moved back in. On the night of the 30th of October 1982, Dominique was in her house rehearsing a script for the V miniseries with her co-star David Packer. During the rehearsal she got a phonecall from her friend, in the middle of the conversation, John Thomas Sweeney instructed the operator to break into Dominique's conversation as it was an emergency. Dominique's friend recalls Dominique saying ''Oh God, it's John, Let me get him off the phone'' and the line cut off. John Thomas Sweeney had just finished drinking two martinis at the Ma Maison bar and decided to walk to Dominique's house. Dominique and David continued to rehearse when there was thumping and shouting coming from the front door. They realised it was John and Dominique told him to go away. John refused to leave unless she come out outside and talk to him for five minutes. Dominique probably thought that she'd be safe with David being in the house or maybe she was naive but she opened the door and went out to the porch to talk to him. The conversation quickly escalated and John lunged towards Dominique, he grabbed her by the throat and dragged her from the porch, onto the driveway and into the next door neighbours driveway. The coroners report stated that he had strangled Dominique for 4 minutes and that she was brain-dead there at the scene of strangulation. John said that he tried to get Dominique to stand up and walk but she vomited and he said that he also vomited. He said that he ran back into the house, swallowed two bottles of pills and ran back outside and laid down beside her. At one point he says he reached into her mouth to pull her tongue out of her throat as he had learned to do that when his father was having epileptic fits. No evidence was later found that John had swallowed two bottles of pills. David ran out of the back of the house and walked towards the front driveway where he said that he saw John kneeling over Dominique. John told David to call the police (David Packer is often criticised for not coming to Dominique's aid that night, some people believe that he was terrified of John and can understand how he may have panicked, others think that he acted cowardly). When the police arrived, John was said to have had his hands in the air shouting that he had killed his girlfriend. John was arrested and at first he was charged with attempted murder but when Dominique died, these charges were dropped and he was charged with first degree murder to which he pleaded not guilty. Dominique was quickly rushed to Cedars-Sinai Medical Centre in Los Angeles. At various times her heart had stopped beating and she was placed on a life support machine. She was on the life support machine for about a week as doctors tried everything including inserting a bolt into her skull to release the pressure on her brain. Her family visited her in hospital and spoke of how shocked they were at all of the tubes that surrounded her. Her neck was swollen with bruises and her hair had been shaved off because of the bolt procedure. The doctors did various scans and determined that there was no brain activity. Her family came to the painful decision that they had to let her go. They each said their goodbyes to her and her mother told the doctors that she wanted Dominique's organs to be donated. The doctor respected their wishes and two of her kidneys were donated to two people who were in the hospital at that time. The operations took place straight away. Her heart was sent to a hospital in San Francisco. The family all agreed that this is what Dominique would have wanted, to have had her organs donated to help save someone else's life, that was just the kind of person that she was. As I mentioned before, due to Dominique sadly passing away, John Thomas Sweeney was now charged with first degree murder. Dominique's funeral was packed full of people who all loved her, Carrie Fisher and George Clooney were amongst the mourners. A few nights after the funeral, the episode of Hill Street Blues in which Dominique had played an abused teenage mother, was shown on TV. Both of her parents had watched it. Unknown to them at the time, the bruises on Dominique's face were not makeup, the bruises were real. She'd been assaulted by John the day before and had filming the next day, because of the role that she was playing, the makeup department decided just to leave the bruises as they were. John Thomas Sweeney's trial began in August 1983 and would go down in history as one of the most controversial trials. By the end of it, the judge would be voted the fourth worst judge in LA, there would be protests outside of the courthouse and public outrage that is still remembered to this day. Having read Dominick Dunne's article in Vanity Fair (published in 1984), it became apparent that the judge was more sympathetic towards John Thomas Sweeney than he was to the Dunne family. Dominick Dunne was advised by a friend to keep a journal of everything that happened in the trial. I was shocked as I had read that during the trial, important information about John's past, including testimony from John's ex girlfriend, Dominique's mother and her friends were kept from the jury and only revealed to them after the sentencing. John's ex girlfriend testified that he had assaulted her 10 times during their two year relationship. She had been admitted to hospital twice for six days on one occasion and four on another. John had perforated her eardrum, broke her nose, threw rocks at her and she also suffered from a collapsed lung after one of his assaults. She spoke of his outbursts and how he would smash up everything in sight, pictures, furniture etc. During his ex girlfriend's testimony, John became enraged and suddenly jumped up from his chair and ran towards the judge's chambers. Armed guards managed to get a hold of him and placed him back in his seat, handcuffing his hands to the arms of the chair. John started to cry, he apologised to the court and the judge accepted his apology. John's court appointed attorney was especially vicious and seemed driven to protect John at all costs. He would try to paint Dominique in the worst light and John as an all American boy who made a mistake. He was quite vile towards Dominique's family and voiced his annoyance at Dominique's mother attending the trial because he said that people would see the wheelchair and that it would add more sympathy to the Dunne family and more anger towards his client. John put on a bit of a show and took a bible into the courtroom with him everyday. On one occasion they adjourned for the day because John said that he needed to have a cry because other prisoners had been harassing him. When John took the stand he claimed that he and Dominique had reconciled and were planning marriage and children. He said that on the night of the 30th of October 1982, she had suddenly changed her mind. He said that he felt that she had been lying to him and leading him on to which point he lunged towards her. He said he had no memory of hurting Dominique. All he remembered was finding himself on top of her with his hands around her neck. He then talked about how he tried to get her to walk but she fell down and at some point she had vomited. He said that he ran back into the house and swallowed two bottles of pills and laid down beside her, he reached over to her at one point to pull her tongue out of her throat. John's attorney pleaded that John had not acted in malice, that what had happened was a crime of passion but Dominique's family argued that John had gone over to her house to try and change her mind and take him back, when he realised that she was serious about the relationship being over, he became enraged. The police who arrested John that night, said that he appeared calm and collected. One commented that John said ''Man I blew it!, I killed her, I didn't think I choked her that hard but I don't know. I just kept on choking her. I just lost my temper and blew it again''. A medical examiner who carried out Dominique's autopsy said that she had been strangled for at least 4 minutes. Prosecutors dismissed what John's attorney had said about a crime of passion. They said that in the time it took John to strangle Dominique, he had plenty of time to regain control of his actions which may have saved her life. On the 29th of August 1983, John's attorney pleaded that there was insufficient evidence to charge him with first degree murder because there was no evidence of premeditation or deliberation. Judge Katz granted the request and told jurors they could only consider manslaughter or second degree murder. On the 26th of September 1983, the jury acquitted John Thomas Sweeney of second degree murder and found him guilty of the lesser charge of involuntary manslaughter. He was also convicted of misdemeanour assault for the altercation with Dominique that occurred on the 26th of September 1982. Dominique's family were outraged by the verdict and called it an injustice after judge Katz excused the jury and told them that justice had been served, Dominick Dunne shouted out ''Not for our family judge Katz.''. The Dunne family accused judge Katz of purposely withholding John's ex girlfriend's testimony from the jury which helped establish his violent history with women. On the 7th of November 1983, John Thomas Sweeney was sentenced to six and a half years in prison for Dominique's death plus an extra six months for the assault charge. Outside of the courtroom, there were protests from victim's rights groups and the general public were appalled. At John's sentencing, judge Katz criticised the jury's decision of manslaughter saying that he felt that Dominique's case was a case of murder with malice. The jury's foreman later told the media that he and his fellow jurors were surprised by judge Katz criticism and called his comment a cheap shot. He felt that the judge's criticism didn't stem from their verdict but from the harsh criticism he had gotten after the verdict was given. He said that if the jury had heard all of the evidence they would have convicted John of murder. After the trial, John Thomas Sweeney was incarcerated at a prison in Susanville, California. A year after the trial he tried to commit suicide. John Thomas Sweeney was released from prison in the month of September 1986 after spending just 3 years, 7 months and 27 days of his sentence. John eventually left the restaurant due to the protest and moved out of Los Angeles. In the mid 1990s, Dominick Dunne was contacted by a doctor who said that he had read his article that he had written about the trial in 1984. He said that his daughter had become engaged to a man called John Sweeney who was a chef and he was wondering if this was the same guy that was involved in Dominique's death. It turned out to be the case and the engagement was called off. John Sweeney accused the Dunne family of harassing him and trying to ruin his life. He moved again and changed his name to John Patrick Maura and found a job as a chef. Years later, Dominick admitted that he had hired a private investigator to follow John for a few years to keep tabs on what he was up to. He then decided to leave things be. Before her death in 1997 at just 64 years old, Dominique's mother Ellen had founded Justice For Homicide Victims after Dominique had died and was recognised for her advocacy work by President George H W Bush. Dominick passed away in 2009 at the age of 83. I remember watching an interview that Dominick had given years after Dominique's death and he said that the last thing that his daughter had said to him was ''I love you Daddy.'' He said that he was lucky because he saw so many families through his work as a crime writer who'd lost a loved one and never got the chance to tell them that they loved them. Dominique was only 22 years old when she was murdered, just 19 days before her 23rd birthday. She was laid to rest in Westwood Memorial Park in Los Angeles just a few feet away from one of her mother's closest friends Natalie Wood and her Poltergeist co-star Heather O'Rourke (who later died in 1988). - Columbine High School Massacre | 20 Years Later | Part One: 20th April 1999. 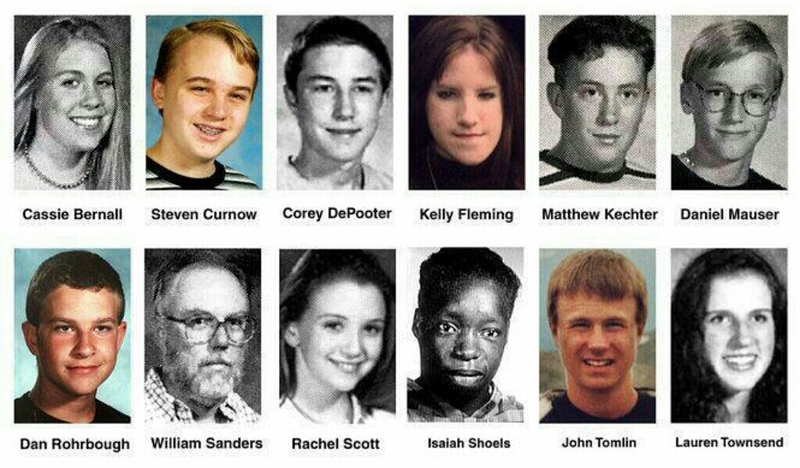 - Columbine High School Massacre | 20 Years Later | Part Two: 20th April 1999. - Columbine High School Massacre | Part Three: Eric & Dylan, The Myths, Columbiners And The Basement Tapes. 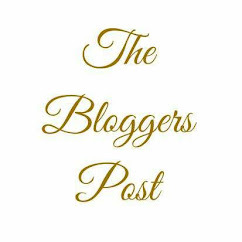 If you enjoy my content or I have helped promote/share your blog and you would like to say thanks, you can donate a coffee to me, if you like here!! I mentioned on this blog a little while ago that I would be covering some true crime cases that occurred in the 1980s as well as recent ones. One of the cases that has saddened me for quite a long time is that of Dominique Dunne, the beautiful and talented actress who died in 1982 but what happened to her? I will be talking about Dominique in this post and some of the content may be distressing so please bare that in mind. Dominique Ellen Dunne came into this world on the 23rd of November 1959 to a talented family. Her mother was a ranching heiress and her father was the legendary Dominick Dunne (he was a famous writer, producer and actor who was said to have known everyone in Hollywood. His nickname was Mr Hollywood. He was popular and respected in the showbiz industry). Her aunt and uncle were famous writers and she had two older brothers, one of which was also an actor. Dominique would later get bit by the acting bug and became quite a successful actress. Her parents divorced in 1967 but remained good friends. Her mother suffered from multiple sclerosis and was confined to a wheelchair. Dominique was extremely close to her parents as she was with her brothers. After graduating from high school, Dominique moved to Florence in Italy for a year. She learned to speak fluent Italian and her parents would often visit her. When Dominique returned to LA from Florence she decided that she wanted to become an actress and studied acting at the famous Milton Katselas' Workshop. She then appeared in various stage productions such as My Three Angels, West Side Story and The Mousetrap. Her first role was in the television film Diary Of A Teenage Hitchhiker in 1979. Dominique then appeared in various supporting roles through the early 1980s and had appearances in shows such as Fame, Hart To Hart and Lou Grant. She also had a recurring role on a show called Breaking Away. Most people remember Dominique from her first feature film role which was in the all time classic horror movie Poltergeist in 1982. Dominique played the role of the sassy eldest sister Dana Freeling (her young co-star Heather O'Rourke who played her younger sister Carol Anne, would also sadly pass away at a young age in 1988) and the film was a massive success. Poltergeist opened on the 4th of June 1982 and was her only theatrical film appearance before her death. After Poltergeist she appeared in the television film The Shadow Riders and the final season premier episode of CHiPs. Shortly before her death, Dominique had been rehearsing for a role on the miniseries V. Dominique died during the filming of the show and her role was later recast with actress Blair Tefkin. The miniseries is dedicated to her. Dominique appeared posthumously in the Hill Street Blues episode ''Requiem For A Hairbag'' which aired two weeks after her death. She played the role of a teenage mother who was being abused by her parents. The episode was dedicated to her. As a person, Dominique was popular and described as a sweet young woman who was devoted to animals, so much so that she would often take in stray animals off the street and take care of them. She also loved all things to do with the paranormal. Dominique met John Thomas Sweeney in 1981 at a party. At the time he was working as a cooking hand at a restaurant called Ma Maison. At first, things seemed to be great between the pair. John seemed like the perfect gentlemen but people would later recall that he seemed to be more in love with Dominique than she was with him. At the time he seemed really devoted to her and people just took that as a sign of a young couple being in love. Things were going so good between them that they decided to move in together. Dominique took John to visit her father and brothers in New York for a few days. Her brother Alex was polite to John but wasn't so sure about him. Her brother Griffen and her father Dominick were also polite but felt that John seemed to be a bit too devoted to Dominique and her father did think at the time that should they ever break up, Dominique may have some trouble with him but he tried to put that thought out of his mind. The night of the first meeting between Dominique's father, brothers and John, her father phoned her mother to tell her that he thought that John seemed to be more in love with Dominique than she was with him which echoed what others who knew the couple had said before. Her mother agreed. The next morning, Dominique's brother Alex told Dominick that an incident with John had happened the night before after he left them. He said that John had gone to the restroom and whilst he was in there, a man at the bar had recognised Dominique from the Poltergeist movie. He began to shout over to her ''What's happening''. Dominique thought it was funny but suddenly out of nowhere, John created a scene in the restaurant by grabbing the man, picking him up and shaking him. Everyone was shocked that the nice, polite young man could suddenly burst out of nowhere with this temper. Alex told his father that John was scary and made it clear that he disliked him. Dominick didn't know what to make of what happened that night, he may have thought it was just a misunderstanding or that John had had a bit too much to drink. He decided to meet Dominique and John for lunch a few days later. He was worried because he arrived late but he realised that they were not at the restaurant anyway. As he sat and waited, he began to wonder if he'd made a mistake or went to the wrong restaurant. Eventually John and Dominique showed up. Dominick recalled that Dominique looked like she had been crying and there seemed to be a bit of an atmosphere between the two of them. Dominick later said that he found John very difficult to talk to, he came across as ill at ease and nervous. John seemed to perk up when the chef came over to the table, both John and the chef had a conversation in French and kissed each other on the cheek. John bragged to Dominick that he had plans to open his own restaurant. Dominique and John returned home after their trip to New York and it was becoming clear that all was not well in the relationship. John was becoming more and more possessive, controlling and would fly into a rage at the least little thing. His outbursts would become physical with one incident involving him ripping out clumps of Dominique's hair. Dominique managed to get out and went to her Mother's house. Her mother later commented that she remembers seeing Dominique curled up in a foetal position in her hallway, holding her head where he had pulled the hair out. John suddenly showed up at the door and began thumping his fist on it. Dominique's mother shouted that she was going to call the police if he did not leave. Eventually he left. A few days later, for reasons unknown, Dominique returned back to the house that she shared with John. About a month after this incident (26th of September 1982), a friend who was staying with the couple heard choking noises coming from one of the rooms in Dominique and John's house, they went to investigate and found John with his hands around Dominique's throat trying to strangle her. The friend intervened and Dominique said that he was trying to kill her, John denied this and brushed it off as a disagreement. Dominique said she was going to the bathroom and would be right back. She jumped out of the bathroom window and jumped into her car. John heard the noise from the car outside and he ran out and jumped on the car bonnet. Eventually he got off of the car and Dominique drove away. She went to a friend's house because her mother was out of town. She later called John and told him that the relationship was over for good this time. 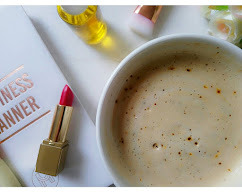 If you're a regular reader of my blog you'll know that I'm a big fan of The Perfume Society and their subscription boxes. I've collaborated with them previously on their fantastic Fabric, Fashion,Fragrance and The Feel-Good boxes. Of all the subscription boxes that I have ever come across, The Perfume Society has (without a doubt) the best ones. 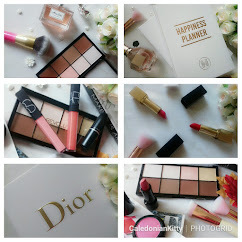 Each box, no matter the theme is always packed full of gorgeous items at affordable prices. This time I was excited when I was sent the Launches We Love discovery box. I knew, based on the other two boxes that I had enjoyed in the past that this box would be full of gorgeous items with hidden extras, and I was right! This box couldn't have arrived at a better time now that we are in Spring and it won't be long till Summer, I've been looking to revamp my fragrances and looking for new scents to try. As you can see the box is packed with so many beautiful scents, some are designer scents that you will know and some you may not yet have discovered. I was excited to see that a few of my favourites like Alien by Mugler and Flower by Kenzo Eau de Vie were in there. I also discovered new scents that I fell in love with such as Cartier La Panthere Eau de Toilette and Lost by Miller Harris. Every fragrance which has been carefully selected from hundreds of launches, was a favourite of mine. I loved all of them. They are perfect for Spring and Summer. There was a perfect mix of rich fragrances which you may wear for a special occasion and subtle, light fragrances for everyday wear. These discovery boxes are a fantastic idea because they always have a great selection of scents and you get the chance to try out the latest perfumes. I used to be one of those people that would go to the fragrance counter (if I was in a hurry or they were short staffed) and buy a random perfume that I had seen advertised in the hope that I would like it. Luckily I did like them but with these boxes you get the time to really try out different fragrances in the comfort of your own home and then if you find a scent that you love, you have the option to buy the full size bottle. The samples are also a great idea if you're looking to buy a perfume for a friend or loved one, they can try out the samples and tell you which are their favourites so that you know which perfume to buy them for their birthday, Christmas present etc. As well as some stunning samples of fragrances, there are also some hidden extras like the I Love Cosmetics Elderflower Fizz body wash and the English Rose body wash. I'm a big fan of I Love Cosmetics too. I've mentioned them before a few times on this blog and they featured in my Christmas gift guide last year. Their products always smell amazing and are super affordable too. I'm obsessed with nail polish and I like to paint my nails a new shade every week. Now that we are enjoying Spring, I'm rocking all of the brighter shades and I love a good bright pink shade. I adore this polish by Nails Inc London (Gimme A Peck). This shade looks stunning with a spring outfit and looks great with a tan too. I'd never tried any polishes from Nails Inc London before so this was another new product that I was introduced to through this box and I really liked it. 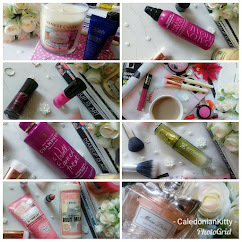 If you are obsessed with fragrances and are looking for some new scents to update your perfume collection, I highly recommend that you treat yourself to the Launches We Love discovery box. All of the samples fit perfectly into your makeup or handbag and they're perfect for travelling if you don't want to carry around your heavier bottles of perfume. 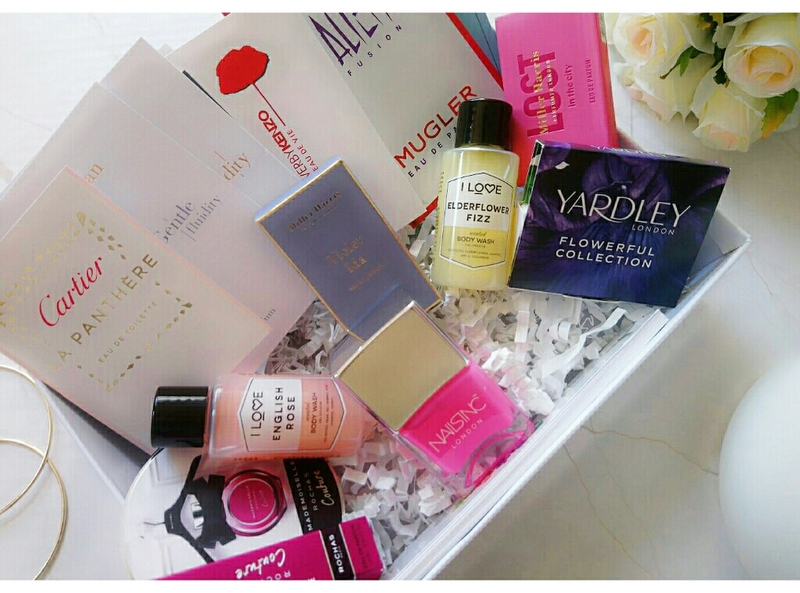 As I mentioned before, the subscription boxes from The Perfume Society are amazing quality and really affordable. I've seen some subscription boxes out there that are charging a lot of money but don't have the quality or as much items as these boxes have. The Perfume Society have fragrance boxes for both men and women. 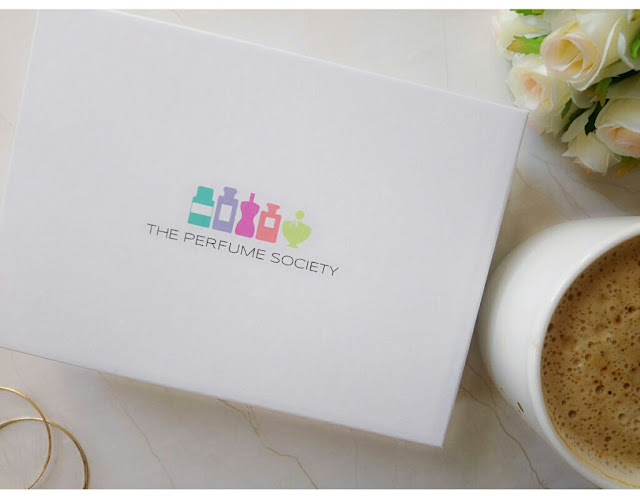 At the moment The Perfume Society have a fabulous offer on, if you purchase one of the Launches We Love boxes before the 10th of May 2019 you will be entered into a prize draw to win a full - size version of one of the fragrances featured! How amazing is that? You can purchase the Launches We Love discovery box for only £19 (If you sign up for VIP the box will only cost you £15). I hope you enjoyed this post and that you treat yourself to one of these amazing boxes. If you do, let me know, I'd love to hear your thoughts and which fragrances were your favourites. *All thoughts and opinions shared in this post are my own and 100% genuine. No affiliate links are included. This is not a sponsored post. Products were kindly gifted to me and I have collaborated with this brand previously. All pictures are my own. After the school had been thoroughly searched for any remaining explosives which carried on into the next day (21st of April) the official number of victims was announced to the public, 13 of the victims and the bodies of Dylan and Eric had remained in the school for quite some time. At the time none of the victims had been formally identified. The authorities began removing the victims bodies out of the school that afternoon and into the evening, by 5pm the identities of all who were killed were being known. When Eric and Dylan's bodies were removed that evening a blizzard that came out of nowhere started. The day up until that point had been warm and sunny. On the 22nd of April officials announced that they found another propane bomb in the school's kitchen. From the 22nd of April onwards, funerals for the victims began to take place. An official memorial was held in which 70,000 people attended. On the 30th of April 1999. Officials at Jefferson County and the sheriff's office had a meeting to decide whether they should release that they had prior knowledge of Eric's hit list, pipebombs, threatening behaviour towards the Brown family and his websites. They chose to keep this information from the public and never spoke of it during their press conference or at any other time. 15 wooden (6' tall) crosses had been put up in tribute to the people who lost their lives at the school by a carpenter named Greg Zanis in Clement Park on Rebel Hill. There was a lot of controversy because of the two crosses that were in tribute to the killers. A father of one of the victims removed the 2 crosses which many deemed disrespectful. On May the 22nd a student memorial was held at Red Rocks Amphitheatre and the next day the students returned to school, they attended Chatfield High School in the afternoons whilst Columbine High School was closed to the public. On the same day that some of the students had returned to school, a 22 year old man named Mark E Manes handed himself into the police and admitted that he had sold the TEC-DC9 to Eric and Dylan. Four months after the shooting, Mark was sentenced to 6 years in prison. He was released after 19 months to a halfway house. He was released in 2002 under electric monitor and denied parole 3 times. May the 22nd was also the day that Lauren Townsend and Isaiah Shoels were due to graduate. Survivors Valeen Schnurr, Lisa Kruetz and Jeanna Park all received their diplomas. On May the 27th the family of Isaiah Shoels filed a wrongful death suit against the Harris and Klebold family. Students were allowed to return to Columbine High School on the 1st of June to collect any belongings they may have left behind during the shooting. The next day, Dylan Klebold's family sent letters to the families of all the victims. On the 3rd of June renovations began on Columbine High School so that classes could resume in August. Most of the work was done by volunteers. The next day, Robyn Anderson, who was a friend of Dylans and attended prom with him, admitted to the police that she bought the two shotguns and the 9mm carbine from a Denver gun show in November 1998 which she gave to Eric and Dylan. Robyn claimed that she had no idea what the boys planned to do with the guns. No charges were brought against her. Authorities announced that their investigations of the CCTV footage found that Eric and Dylan were the only ones who carried out the attack. There was no other people involved. Charges were filed against 22 year old Philip Joseph Duran on the 17th of June for providing a handgun to Dylan and Eric. Philip worked with the boys at Blackjack pizza. Philip later pleaded guilty and was sentenced to 4 and a half years in 2000. He was paroled after 3 and a half years. On July the 20th, students and their families returned to Columbine to decorate memorial tiles. Four months after the massacre, Columbine High School opened on the 16th of August. The building had been remodelled. 2000 students had turned up to the school and a line of parents and teachers (shielding the students from the media) stood along the sidewalk as the students walked into the building. There was a ''Take Back The School Rally'' before the classes began. After the rally, the American flag which had been at half mast since the shooting was raised and the school was officially announced open. 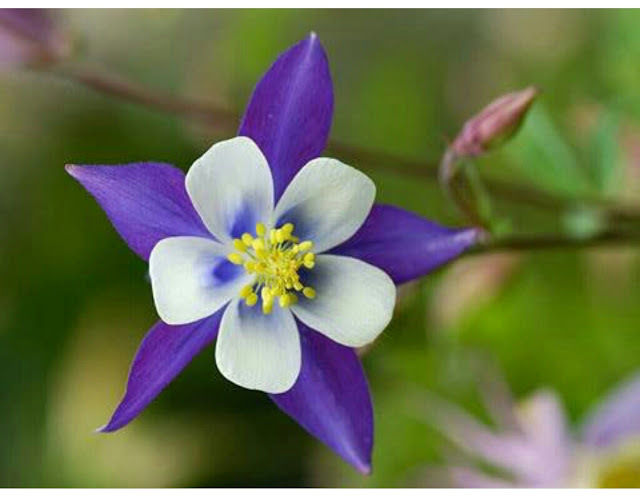 After the Columbine massacre various lawsuits were filed by the families of the victims against the school, the police and the gunmen's families. The school library was originally going to be kept the same but repainted with new furniture. The parents of the victims and local community were outraged by this and insisted that the library be demolished. Eventually the library was demolished, rebuilt with completely new furniture and facilities and was built to one side of Columbine's main building, thanks to hardwork and money raised by HOPE (an organisation formed by families of people who were injured or killed at Columbine). The library was originally on the second floor above the cafeteria, work crews removed the floor in that section and replaced it with an airy atrium, sky lights and screen murals which completely changed the look of the cafeteria. The Columbine Memorial opened to the public on the 21st of September 2007. There is a Ring Of Healing which has messages on the inside wall to honour and remember those that lost their lives on the 20th of April 1999. You can find out more about the memorial here. John Tomlin - John Robert Tomlin was born on the 16th of September 1982. He was a native of Wisconsin, his family and friends remember him being a person who had bags of energy and a warm smile. John wasn't afraid of hard work, after being at school all day he would work at a local nursery. He was very sociable, always busy and was a member of a church youth group where he met his girlfriend of 7 months. John was a big fan of Chevrolet trucks and enjoyed spending time at church. He had recently got his drivers licence and had bought an old Chevy truck that he'd been working and saving up for since he was 14. John was just 16 years old when he was killed at Columbine. His truck which was still parked in the parking lot of the school, became a memorial with tributes and flowers left by friends, family and members of the public. Witnesses say that John spent his lunch breaks in the library regularly and on the day of the shooting he welcomed a girl he didn't know into his hiding place. He held her hand to try and keep her calm. John's father described him as the perfect son, always a hard worker and going that extra mile to help. He was the sort of person that if you asked him to wash a car, he would wash two cars. The Thursday following the shootings, his family gathered around his truck (even though the rain was coming down hard) to pay tribute to him. His bible was still sitting on the dashboard where he always left it in the hope that someone would see something there that would bring them closer to God. On the 23rd of April 1999, John was buried in his hometown of Waterford, Wisconsin in Saint Peter's cemetery. His funeral was held at Foothills Bible Church where he regularly attended. John was buried in a satin-lined coffin which was embroidered with Chevy trucks. Rachel Scott - Rachel Joy Scott was born on the 5th of August 1981 and was described by her family and friends as beautiful, kind, vibrant and straight forward. Rachel was a proud Christian and wasn't afraid to stand up for what she believed in. She had dreams of becoming an actress and a writer. She played the lead in a student written school play and was in the middle of writing a play for her senior year. Rachel was a spiritual person who often wrote to God in her diaries, she wrote about wanting to reach the unreached. Rachel loved photography and was very active in the Celebration Christian Fellowship church. Her father said she was ''made for the camera''. Her mother also said ''There's nothing I can add or take away from what she gave us, in those 17 years, it was complete''. She had always been close to her brother Craig (who had been in the library during the shooting and miraculously survived uninjured despite being next to his friends Isaiah Shoels and Matt Kechter who were shot and killed) and her family. She quit smoking at the request of a friend who later took her to the prom. If she hadn't have quit, its quite possible she would have been at the Smokers Pit instead of the line of fire that day. Before she was killed, Rachel had been sitting on the grass outside eating lunch with her friend Richard. Dylan Klebold had known Rachel since Kindergarten and he'd been the sound technician for the talent show she performed in. Like John Tomlin, Rachel's car became a memorial in the parking lot, full of flowers and tributes. People would gather around her car (like people did with John's truck) and pay tribute to her. In 1998 Rachel drew a collage of images that included a rose growing out of a Columbine (flower that the school was named after) with several dark drops spiralling it. On the morning of the shootings, she doodled a reprise of the picture that featured a pair of eyes crying, 13 teardrops onto the same rose (the same number of victims the shooters would kill that day). Several books and movies have been made about Rachel. Some are based on the journals that she left behind. Her family often travel around the world talking to younger people whilst paying tribute to Rachel and sharing her life to help inspire others. On the 24th of April 1999, Rachel's funeral took place and was broadcast live on CNN. At that point it had become the most watched event in CNN's history. Rachel was buried at Chapel Hill Memorial Gardens in the Columbine Memorial Garden in Littleton, Colorado. Rachel's family and friends wrote messages on her coffin. She was just 17 when she was killed. Kelly Fleming - Kelly Ann Fleming was born on the 6th of January 1983, her family had moved to Littleton from Phoenix, Arizona 18 months before the shooting. Her father Don said that they scoured the area looking for a good neighbourhood where their daughters would be safe. Kelly was described as shy, creative and loved all things related to Halloween and Vampires. She was an aspiring songwriter and author who wrote many poems and short stories based on her own life experiences. She had been in the middle of writing her own autobiography on her home computer, she started at the very beginning of her life when her mother's water broke and had gotten as far as her fifth year. Kelly liked to go to the library at Columbine to work on her stories and poems. 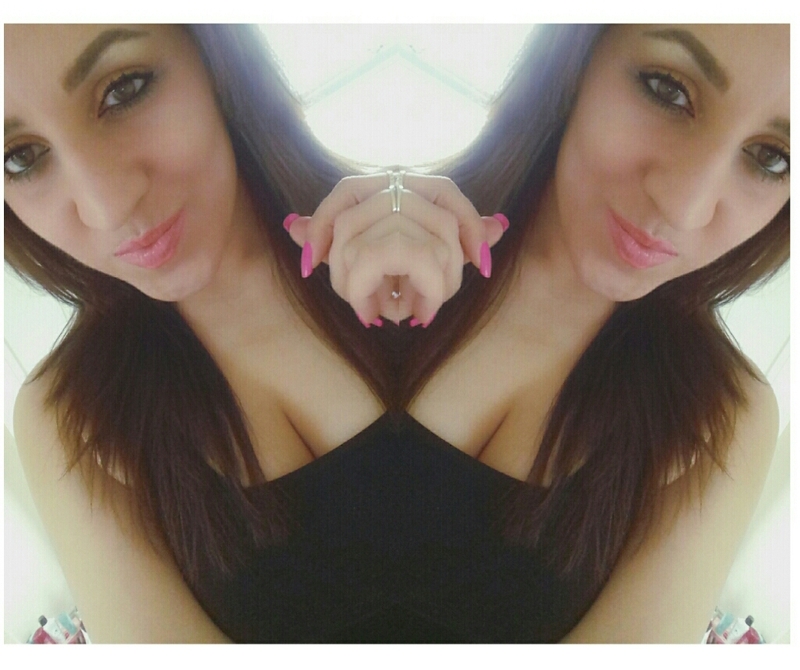 The stories that she wrote always had a happy ending. She often entered writing competitions too. She was also learning to drive and wanted to get a job in a daycare centre. She was saving money up to buy one of her dream cars, she loved mustangs and corvettes. She longed to be able to drive so that she could take road trips to Phoenix and other places. Kelly's funeral was held at St Frances Cabrini Catholic church, the same time as Daniel Mauser's on the 25th of April 1999. Kelly was buried with two teddy bears in her arms. Her grave is located at Mount Olivet cemetery in Wheat Ridge, Colorado. Kelly was just 16 when she was killed. Daniel Mauser - Daniel Conner Mauser was born on the 25th of June 1983. He loved swimming and hiking and his father hoped in the summer of 1999 to take him on his first mountain hike. He was a sophomore and excelled in Maths and Science. Daniel got straight 'A's on his last report card and volunteered at a hospital. His dad described him as a smart young man who wasn't afraid of challenges. Daniel was shy but that didn't stop him from joining the debate team and although he wasn't a natural athlete, he still joined the cross-country team. Daniel was described by family and friends as a lovable person who wasn't afraid to hug his parents. He was a gentle soul who was close with his sister and loved things like pepperoni pizza, playing video games, The Simpsons and The X-Files. He also liked challenging things like trivia, puzzles and knowledge games. He loved skiing and camping and had recently returned from a two week trip to Paris with the French club. Daniel was preparing for confirmation in the Catholic church (he was confirmed two weeks after his death). Daniel won the ''Stretch For Excellence'' award for being named top biology student of the sophomore class at Columbine High School, sadly he died before he could learn that he'd been selected for the honour. He was also posthumously accepted for membership into The National Honor Society in September of 1999. He applied for membership weeks before the shootings. Daniel was concerned about gun safety in America, his father Tom is an activist against the NRA and continues to campaign. Not long after the shootings Daniel's family along with other parents of victims and survivors created the H.O.P.E organisation and worked together to have the new library at the school built. Daniel's funeral took place on the 25th of April 1999 (the same time as Kelly Fleming's funeral) at St Frances Cabrini Catholic church. He is buried at Mount Olivet cemetery in Wheat Ridge, Colorado. Daniel was just 15 when he was killed. Cassie Bernall - Cassie Renee Bernall was born on the 6th of November 1981. Her parents nicknamed her ''Bunny Rabbit''. She loved rock climbing, her favourite movie was Braveheart and she had just recently visited Great Britain. Cassie was a born again Christian who was very active in church youth programs and bible study groups. During the initial reports of what happened at Columbine, there was a lot of confusion with some of the witnesses reporting that they had seen one of the shooters ask if she had believed in God to which she replied yes and was killed. No such conversation between Cassie and the shooters took place. Valeen Schnurr was the girl that was asked if she had believed in God. Cassie's funeral took place on the 26th of April 1999. She was buried in a white coffin which was covered in messages and tributes from loved ones and friends. She was buried in Golden Cemetery, Colorado. Cassie was only 17 when she was killed. Dave Sanders - William Dave Sanders was born on the 22nd of October 1951 and was seen as a real hero the day of the Columbine Massacre. Dave was a computer and business teacher who also coached the girl's basketball and softball teams. He had worked at Columbine for 25 years and was popular with both colleagues and students. Students at Columbine described Dave as a teacher, a friend, a mentor and an inspiration. On the 20th of April when the gunmen started firing outside the school, Dave ran to the cafeteria and sounded the alarm. He along with two of the school's janitors, helped get more than 100 students out of the path of danger by herding them away from the shooters. He saved untold numbers of lives that day. Dave posthumously received The Arthur Ashe Award For Courage. A scholarship and the Columbine softball field was also named after him. Dave's daughter Angela said at his funeral ''What you did in that school on Tuesday was an amazing act of heroism, even after you were hurt you continued to be the brave, selfless man we all know you are''. Dave was shot and hid in a classroom with some students who tried to administer first aid to him as they waited for help to arrive. A student in the classroom placed a sign in the window ''1 Bleeding To Death'' as an attempt to get help. Help didn't come till 3 hours later, Dave sadly passed away and his last words were said to be ''Tell my family I love them''. Dave leaves behind his wife, four children, five grandchildren and an amazing legacy. Dave's funeral took place on the 26th of April 1999 and he is buried in Littleton's Chapel Hill Memorial Gardens. Dave was just 47 when he was killed. Lauren Townsend - Lauren Dawn Townsend (nicknamed ''Lu Lu'') was born on the 17 of January 1981. She was a senior and a captain of the girl's varsity volleyball team which her mother coached. Lauren was described as a talented sketch artist who was a straight 'A' student who never got a 'B'. She was also a member of The National Honor Society and was a candidate for valedictorian of her graduating class. She volunteered at a local animal shelter and planned to major in biology at Colorado State University when she graduated at Columbine. Lauren was in the library with her friends during the shooting. like everyone else, she hid under the tables and found herself next to Valeen Schnurr, who was frightened. Lauren put her arm around Valeen and told her that everything was going to be ok.
Lauren would have graduated on the 22nd of May 1999. Lauren's funeral took place on the 26th of April 1999 at Foothills Bible church. Many of her teachers spoke at her funeral, commenting on her gentle nature, loving spirit and academic excellence. She had a white coffin which family and friends left messages on and she was laid to rest in Littleton cemetery, Colorado. Lauren was just 18 years old when she was killed. Kyle Velasaquez - Kyle Albert Velasquez was born on the 5th of May 1982 and was described as a gentle giant who was shy, affectionate and sincere. He loved computers and had only been attending Columbine High School for 3 months. Kyle had a suffered a stroke when he was a baby that left him mentally disabled and he had severe asthma. He would regularly be at home for his lunch but in the past few weeks he felt confident to stay at the school for lunch. His family say that he was beginning to come out of his shell. He enjoyed doing family activities and helping out around the house. Everyday he would kiss his mum on the cheek and tell her that he loved her. Kyle suffered a lot of bullying growing up so he knew what it felt like to be the odd one out. Kyle dreamt of joining the Navy like his dad or becoming a firefighter. His last words to his mum were ''I love you mom''. Kyle's funeral took place on the 27th of April 1999 and he was buried with military honors in Fort Logan National cemetery in Denver, Colorado since his father was a Navy veteran. His parents were given the flags from his coffin and the one that was flown at half mast in Kyle's honor at the state capital. Kyle was only 16 when he was killed. Matt Kechter - Matthew Joseph Kechter was born on the 19th of February 1983. Family and friends remember him as always upbeat, happy and never in a bad mood. Matt had an infectious laugh and the ability to cheer people up when they were feeling down. Matt was a sophomore who was a member of the football team. He was a grade 'A' student who was always in the library and put academics first. He was always getting good grades in school but he never bragged about it and he planned to go to the University of Colorado in the future. ''He was a wonderful role model for his younger brother'', his parents read out in a statement at his funeral. They said that Matt and his brother had a really close bond. ''In Matt's heart there was always enough room for everyone to be victorious'', his parents said. In September of 1999 Matt was posthumously accepted into The National Honor Society. Matt was buried in Mount Olivet cemetery in Wheat Ridge, Colorado. Sadly a close friend of Matt's (Greg Barnes) committed suicide shortly following the first anniversary of the shootings at Columbine. Matt was only 16 years old when he was killed. Isaiah Shoels - Isaiah Eamon Shoels was born on the 4th of August 1980. Isaiah was popular and well liked by fellow students and teachers at Columbine. On school projects all of the students wanted to work with Isaiah. Isaiah was born with a heart defect but he was a fighter who overcame his disability and went onto play football and wrestle. He loved playing the keyboard. His friends nicknamed him ''Bushwick'', he dreamt of becoming a comedian and also a record producer like his father. Isaiah was due to graduate on the 22nd of May 1999 and had plans to attend The Denver Institute Of The Arts. He was the last of the Columbine victims to be buried. His funeral took place on the 29th of April 1999 and he was buried in Fairmount Cemetery, Denver, Colorado. Martin Luther King III (son of Martin Luther King Jr) spoke at his funeral at the Heritage of Christian centre. Isaiah was only 18 years old when he was killed. Daniel Rohrbough - Daniel Lee Rohrbough was born on the 2nd of March 1984 and loved playing computer games and electronics. He was looking forward to getting his driver's permit and people described him as a fun guy and a hard worker who helped out at his father's stereo business everyday after school. He also worked on his Grandfather's farm harvesting wheat as he had done since he was 3 years old. Daniel's father (Brian) was the person who removed the two memorial crosses dedicated to Eric and Dylan. Brian said at the time ''I don't think any thinking person in this country is going to disagree with me, we never ever honor a murderer in the same place as the memorial for his victims''. Daniel laid for nearly 2 days on the sidewalk outside of the school before paramedics were allowed to move him. His family were kept in the dark about what had happened to their son. His family only found out what happened with Daniel when pictures of him were all over the newspapers. His funeral was held at the Grace Presbyterian church and he was buried in Littleton Cemetery in Littleton, Colorado. Daniel was only 15 when he was killed. Steve Curnow - Steven Robert Curnow was born on the 28th of August 1984 and was the youngest of the Columbine victims. He loved soccer and worked part time as a referee. He was very close with his parents and dreamt of becoming a navy top gun pilot. His favourite colour was green because it was the colour of the field. His favourite classes were Spanish, technology and gym because he got to play sports. Steve was a huge fan of Star Wars (after his death, Sci-Fi fans nationwide put together a go-to Star Wars memorial day in his honour when The Phantom Menace premiered in theatres in May 1999. Steve was really looking forward to this movie). Steve's funeral took place at Trinity Christian Centre, members of his soccer team attended his funeral. He was buried in Fort Logan National Cemetery in Denver, Colorado. Steve was just 14 when he was killed. Corey DePooter - Corey Tyler DePooter was born on the 3rd of March 1982 and was a former wrestler who enjoyed hiking, inline skating, wrestling and golf. He was described as an all American kid who put schoolwork before anything else. When he had his wisdom teeth removed he was upset that he had to miss school. Family and friends remember him as someone who always lifted your spirits and was fun to be around. Soon after his death, his grandmother contacted the Marine Corps about holding some sort of ceremony for Corey because he'd always wanted to become a Marine. On the 3rd of May 2000, Corey was granted that dream during a ceremony at his gravesite in Chapel Hill Memorial Gardens in Littleton, Colorado where he was made an Honorary Marine. Corey was only 17 years old when he was killed. It's been quite emotional looking back over the Columbine Massacre. It may have been 20 years ago but to a lot of people especially the families of victims and survivors, it seems like yesterday. I spent a lot of time researching, there was things that I already knew, things that I wasn't sure about and things that I had only just found out. With these posts, I started from scratch and looked at the evidence, the witness statements, the official timeline of events. I had to be careful not to think back to the original reports where the media made mistakes. I may have not have been able to include every tiny little detail in these posts but I think that I've done a good job with what I have included. It was important for me to talk a little bit about who the victims were and that was really hard for me. The sadness at all of these kids who's lives were taken and each one of them was special in their own way. I was around about the same age as these kids when this happened and now I'm at an age where I look at them in almost a parental role. They would be around my age now, probably married with children, who knows? They all deserved to have the chance to grow up and work towards their dreams and discover new ones. When I look back at myself as a 15 year old who was depressed and had all sorts of issues thinking that Eric and Dylan were like me, I realise how that was just a desperate attempt to make myself feel less alone. I was nothing like these people, even at 15 years old. No matter how desperately depressed I was, I could never kill innocent children and laugh and bully them as they did. I've read a lot of accounts from people who have said that Eric and Dylan bullied younger kids at Columbine and I believe that to be true. I believe that people bullied them too. There was a level of bullying at that school and certain teachers turned a blind eye to it like they did with all the red flags that were as clear as day about Eric and Dylan. I look back at the Hitmen For Hire tape and the violent essay that Dylan had written amongst other things and I wonder, was that a cry for help? (were they looking for attention, someone to stop them?) or were they just mocking everyone? putting it all out there in plain sight. We'll never know. Some people who knew them weren't surprised with what they did, others were in shock. Dylan and Eric managed to keep their plans a secret for a year, they collected weapons, built pipe bombs, drew up plans etc. This wasn't a bullied kid who just freaked out with a gun, they manipulated people. They let certain people go that day, they targeted people and made eye contact with them whilst shooting them. They were smiling and enjoying themselves. I've seen so many fan sites and videos dedicated to these people and at first I thought it was just misguided kids who didn't know the full facts but I think that they just cut out the bits they don't want to know. A lot of these fans were babies when Columbine happened. There's no excuse for not knowing the full facts, it's all there if they take the time to read it. I didn't include everything that was said in the library or at other points by Eric and Dylan because I knew that it would be too distressing. I read a lot of what they said and it made my blood run cold. I was really affected by what they did to Isaiah Shoels, as I was with everyone who was killed, but what they said and did to Isaiah really haunted me. I hope that you have found these posts informative and if you have any comments please feel free to leave them below or contact me on twitter. Who were Dylan Klebold and Eric Harris? We know them as the killers who carried out The Columbine High School Massacre but who were they really? If you were to go back in time to April 1999 and read the newspapers and watched the news reports, you'd be led to believe that these two boys were goths, listened to Marilyn Manson, loved Nazis, were part of a group called The Trenchcoat Mafia, addicted to violent video games and movies, took drugs, took anti-depressants, wore Gothic makeup, dressed in trenchcoats, collected guns and hated everyone from ethic minorities to jocks with white baseball caps. So what was the truth and what was fiction? Like I mentioned in part one. I was a teenager when Columbine happened and it happened on my very last day of school. I wasn't supposed to have my last day on the 20th of April 1999 but I decided on that morning that I'd had enough and would no longer return. School was a place of hell for me and I'm not just talking about little bits of teasing here and there, I had suffered some horrendous bullying for years and I was suicidal. When I said that I was no longer going back, nobody stopped me, the headteacher knew what was going on and was powerless to help me so it was a relief for him when I was gone. In high school I was the kid that sat at the back of the class and wore black, listened to bands like Placebo and people in the small town that I lived in thought I was a Satan worshipper and drank blood. Some people were weary of me because they thought I was a weirdo and others would bully me to my face. Nowadays it's not a big thing to see kids dressed in black and listening to goth bands but back then it was, especially where I was from. So you can imagine when I got home that day and saw the news. ''Two schoolkids who were sick of being bullied got revenge on the people who made their lives hell''. I automatically thought that these people were like me (It sounds crazy but at that time I was in a really depressed state and I was young). I'm not going to lie, there was times when a door would be kicked in my face by boys calling me ''Monster'' and ''Freak'' and I would imagine what it would be like to get revenge on them. I was having some really dark thoughts. I'd already read bits and pieces about school shootings before and when Columbine happened, it seemed different somehow, like I could relate to who I thought Eric and Dylan were. I didn't relate to the Nazi stuff, the racism or love of guns but I did relate to the frustration of being bullied, being different, not fitting in. I shaped my idea of who they were from the media. I started to collect all the newspaper articles that I could and I bought a Marilyn Manson CD because I'd read in the papers that they listened to him. I became obsessed trying to find out all that I could about them. This was in the days before the Internet was a big thing over here in the UK. At that time I felt a sort of comfort to know that there were people out there I thought were just like me, who'd been through what I had. Over the years as I grew up and more information was made available with having access to the Internet and then the evidence files, I learned that a lot of what was reported at the time was false. I read Dave Cullen's book (before reading the evidence files plus statements from their family and friends) which was supposed to be based on 10 years of research. I read it a few times and it confused me. Dave said that they weren't motivated by bullying and there seemed to be a more sympathetic view of Dylan despite the fact that there's evidence that Dylan was very active in the shooting, the planning and was very vocal and clearly enjoyed what he did. Before I did further research into the evidence and statements of those that knew Dylan and Eric, I wondered why Dave Cullen got so much hate online (he still does to this day) and thinking back to the book there is a lot of things that are not fact. I felt it wasn't the whole truth the first time round when I read it. I watched a youtube video of Dave Cullen doing a speech at a university (the comments were disabled) and he was talking about Columbine. He seemed to struggle to remember a few things and got mixed up. He seemed to be really over confident about who he thought they were like he was in the book. The fact that he didn't take the bullying aspect seriously says a lot to me. I grew out of the obsession with the Columbine case (I was never one of these fan girls of Dylan and Eric, I was intrigued at the beginning because I'd read that they were two bullied goths) as I got older but from time to time an article would pop up, a documentary or a movie that would be loosely based on them would pop up and I would read or watch them. I read the evidence files because I was interested to find out the truth and what other people who knew them had to say. Now, with the 20th anniversary coming up and including true crime cases on my blog, I was asked if I would cover Columbine after the Kip Kinkel case and I thought about it. At first I wasn't going to do it but then I changed my mind. As I looked into the case again, I found endless tribute videos to Dylan and Eric, Tumblr accounts and websites dedicated to Columbine, fan art and stories that people had written and I thought, these people are probably kids who are like I was and they've read the whole lonely bullied goth stories and see them as people who couldn't take anymore and created a horrific event. Others I believe to be interested in the psychology of the whole thing, why did they do it, was anyone else involved etc. There are people out there (like me) who are interested in researching the case but do not idolise Dylan and Eric. There is a big following of people who are really interested in the case called ''Columbiners''. These are the people who have the dedicated websites, Tumblrs and channels. I think there's a mix of people who idolise Eric and Dylan and others who don't idolise them but just research the case. It's one of those things were people seem to class all of them as Columbiners. They would probably class me as one because I've covered them in this blog & done a lot of research into the case or as one when I was a teenager. In my opinion, I don't see anything wrong with people researching the case and finding out the real facts for themselves, it's when people go to an extreme with it and refer to Dylan and Eric as Gods or try to copy what they did which is obviously not the right way to go. In this post I want to talk a little bit about who Dylan and Eric were based on what people who knew them have said (Not Dave Cullen or the newspapers) and The Basement Tapes. 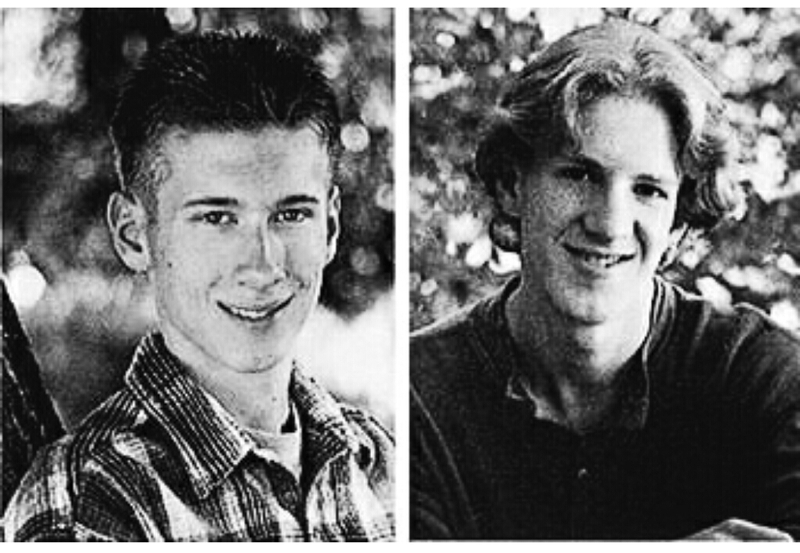 Dylan Bennet Klebold was 17 years old at the time of the massacre and (born on the 11th of September 1981) was described as someone who was painfully shy but quick to anger from those that knew him, his favourite band was Nine Inch Nails. He is often described as depressed, lonely and full of suppressed rage. As a child he was discovered to be quite ahead of his classmates academically and seemed to have quite a number of friends. He was close with his parents and had a brother who was 3 years older than him. In middle school Dylan met Eric Harris and from what I have read there were no problems in middle school from either of the boys. In 1995 they moved up to Columbine High School which had just undergone a $15 million dollar makeover. They were amongst the first to see the new look and take advantage of the new facilities. Friends who knew both Dylan and Eric said that Eric was the one who suffered the most bullying at Columbine, however people did comment that they saw both Eric and Dylan being targeted by Jocks in the cafeteria on a couple of occasions, one incident involved the Jocks spraying both of the boys in ketchup and calling them homophobic names. Brooks Brown also said that he was with Dylan and Eric one day when a group of Jocks threw a glass bottle at them. Brooks wanted to say something but Dylan told him to leave it as it happened all the time. Dylan and Brooks Brown (the boy who Eric told to go home before the massacre began) had been friends since childhood. Dylan also informed Brooks about the website that Eric had made where he posted Brooks' address and threatened to kill him (I'll talk more about that when I cover Eric). At Columbine he was active in school play productions as a light and sound coordinator as well as being involved in video productions and Columbine High School's rebel news network. Dylan and Eric would make homemade videos, they also created a video for a school project called Hitmen For Hire, this was later believed to be a spoof of what they planned to carry out and another red flag that should have been looked into. Just weeks before the massacre, Dylan handed in an essay to his teacher that was so graphically violent that she refused to grade the paper till she contacted his parents and spoke to him directly about it. The essay was about a lone warrior wearing a trenchcoat who stabbed and shot to death a group of college preps then set off a bomb to divert attention away from the police. Dylan's explanation for this was that it was just a story and the whole thing seemed to be forgotten about. This teacher along with other members of the Columbine teaching staff were later named in wrongful death lawsuits from parents of the victims who said that she and her colleagues could have done more to prevent the tragedy and that the essay should have been taken more seriously. Dylan worked with Eric at a place called Blackjack Pizza, he was written up for bringing a pipe bomb to work (Eric and Dylan often played pranks at work). He quit the job shortly after but was rehired again by Blackjack when they were short of staff. Sue Klebold, Dylan's mother said that she and her husband had no idea about what was really going on in Dylan's mind. She knew that there had been some trouble at school involving Dylan and Eric hacking into computers. There was also an incident where Dylan scratched a school locker and he and Eric were caught breaking into a van to steal electrical equipment, both boys had to attend a juvenile diversion program. Dylan did so well on the program that he was allowed to complete it earlier than normal. Dylan promised his mum and dad that he was going to straighten himself out and not get into any more trouble. Over the weeks and months, Dylan seemed to be doing well, he applied to and been accepted at 4 different colleges. He visited the University of Arizona (which was his first choice university/school) with his parents and picked out a room. he also made plans to attend prom which he did on the weekend before the shootings. He went to prom with his date Robyn (who was just a friend) along with a group of friends in a limo. The night of the prom he was said to be in good spirits, laughing, having a good time and talking about the future with his friends. When Dylan got home from the prom he thanked his parents for paying for everything and that he'd had one of the best night's of his life. On the 20th of April 1999, Sue said that Dylan got up very early (it was still dark outside) and she heard him walking down the stairs like he was in a hurry. She called out to him ''Dyl'' and the next thing she heard was ''Bye'' as Dylan slammed the front door shut. She said she felt at the time that something was wrong with him, maybe he'd had a falling out with a friend or was in a hurry for something. She spoke to her husband about it and he said that he'd noticed that Dylan seemed to be talking in a more higher tone the past few days. They both agreed that Dylan's dad would have a talk to him that night to see what was bothering him. Unbeknown to his parents, Dylan and Eric Harris had been planning the massacre for a year and Dylan had been writing about feeling depressed and suicidal for a long time. Dylan wrote about being lonely, wanting to find love and he wrote about a girl that he had a crush on but nothing ever came of it. Sue said that Dylan didn't have a journal, he just wrote on random bits of paper that were found in various places in his bedroom. A I mentioned before Dylan was said to experience some form of bullying but not as much as Eric. Dylan was also alleged to have harassed a boy at school to the point of the boy's mother having to speak with the principal about it but nothing was done. Dylan and Eric killed people who had nothing to do with how they were treated at school, none of the kids who were shot had bullied them. A few of the kids had problems themselves with not fitting in and having difficulties. One of the students who was badly injured in the library by the shots fired by Dylan was a girl named Valeen Schnurr, this was the same girl who was asked if she believed in God. Witnesses later revealed that Valeen sat in front of Dylan in one of their classes together and she was always nice and talked to him, they were surprised at how cold he was to her. In the transcripts of the library shooting, Dylan can be heard shouting and yelling all kinds of profanities and racist remarks. He and Eric were bullying the kids before they shot them. There are no words to convey how sorry we are for the pain that has been brought upon the community as a result of our son's actions. The pain of others compounds our own as we struggle to live a life without the son we cherished. In the reality of the Columbine tragedy and it's aftermath, we look with the rest of the world to understand how such a thing could happen. We are convinced that the only way to truly honor all of the victims of this and other related tragedies is to move clearly and methodically toward an understanding of why they occur, so that we may try to prevent this kind of madness from ever happening again. It is our intention to work for this end, believing that answers are probably within reach, but that they will not be simple. We envision a time when circumstances will allow us to join with those who share our desire to understand. In the meantime, we again express our profound condolences to those who's lives have been so tragically altered, we look forward to a day when all our pain is replaced by peace and acceptance. Finally, we wish to thank those who have sent their kind thoughts, prayers and expressions of support to our family. We are constantly surprised and heartened by the gestures of understanding and compassion that have been extended to us. The support has been both humbling and inspiring, and we are truly indebted to those who have offered it. The Klebold family - 4-15-2000. Dylan's mother often gives talks about her son and suicide prevention. She wrote a book with all the proceeds going to mental health charities. Do I believe that Dylan was a depressed follower who did whatever Eric told him to do? I think (based on what I've read over the years) that Dylan did have depression and self loathing, he was insecure and I don't think he was a follower, with him and Eric it seemed to be a meeting of the minds. Dylan was happy to take part in this every step of the way and wrote about how he was excited and couldn't wait to do it. The way he was in the library was the real him, nobody forced him to do that. There was no remorse, he was taking pleasure in the killings. Some people believed that Dylan manipulated people into thinking that he was just a shy and quiet person. There was definitely two sides to him (like there is to most people) only his dark side was a lot darker than people imagined. I do believe he went through some bullying and to what extent we'll never know (people have mentioned that Eric was bullied more than Dylan or they never saw Dylan being bullied but situations may have occurred when witnesses were not around) but one thing's for sure, he had an extreme amount of anger inside of him. In Dylan Klebold's autopsy, no traces of drugs were found. Dylan's funeral was very private for obvious reasons with only 15 people in attendance. The funeral home where the service took place received a lot of backlash at the time with members of the public calling for the funeral director to be fired. Eric David Harris was born on the 9th of April 1981 and had not long turned 18 years old at the time of the massacre. He is often described as the ''Textbook Psychopath'' and the more dominant out of himself and Dylan. he has also been described as controlling, manipulative and sadistic. He described himself as ''God like'' in his journal and ranted about how much he hated the world and pretty much everyone in it. People who knew him said that he came across as polite, well educated but like Dylan, he had a fiery temper. He was also described as an ''injustice collector'', if anyone made a rude comment to him or if he asked a girl out and she rejected him, he'd write their names down on his hit list and write about how much he hated them. From what I've read, Eric seemed to have both over confidence and insecurity at times. He had the confidence to ask out a lot of girls and talk to them but he was very insecure about a chest deformity that required surgeries just before he started high school. He was self conscious about taking his shirt off in gym class. During freshman year, Eric met a girl in his German class and took her to the homecoming dance, it was their only date and she refused to go out with him again. Eric staged a fake suicide, laying on the ground covered in fake blood. He later wrote in her year book ''Ich Bin Gott'' (I am God). Witnesses say that it was in gym class that Eric experienced a lot of bullying because of his size, weight and because he wasn't very good at sports. He was also mocked for how he dressed and his taste in music. Eric was a big fan of KMFDM and Rammstein. Eric moved around quite a lot as a child because his dad worked in the Air Force, Eric would later express that the moving was always difficult for him, having to always be the new kid and never being settled. Eric did care a lot about animals and expressed anger at anyone who committed animal cruelty. He had a dog that he adored who was often sick with seizures (in one of the home videos that were part of The Basement Tapes, Eric is seen talking to the camera and wishing that he could see some of his old friends again, there's a moment where he begins to cry and has to turn the camera off). Eric was capable of showing emotion which, like Dylan shows how they both had two different sides to them. They had the sides that their families and friends knew and then the dark sides that planned and committed the massacre. As I mentioned earlier, Eric was said by witnesses to have had a lot of bullying. There was an incident where Jocks had thrown tampons covered in tomato ketchup at him and someone said they'd seen him getting slammed into a locker in gym class. Like Dylan, Eric took part in the Juvenile Diversion Program (after the van break in) and passed with flying colours. He appeared to the court and his family as butter wouldn't melt and that he was on the straight and narrow but behind closed doors he wrote in his journal how he found it hilarious that he managed to fool everyone. He had no regret for what he had done, he was angry at how he was treated. Dylan was also full of rage because they were arrested. Brooks Brown (who was told by Eric to go home that morning) was a childhood friend of Dylan. Dylan introduced Brooks to Eric and the pair became friends. Brooks would often give Eric a ride to school but on a few occasions he'd turned up late. Eric wasn't happy about this and when it happened a few days in a row, they had an argument about it. Brooks decided it would be best if Eric just found his own way to school from now on and in a temper, Eric threw either a rock or piece of ice which dented Brooks' windshield. Brooks told Eric he would have to pay for the damage. Eric continued to harass Brooks and his family by putting firecrackers on the windowsill of their house. Eric would gloat about this in his journals and online. Brooks' parents had contacted the police and Eric's parents over the damaged windshield and harassment. Eric apologised but Brooks' mother didn't believe his apology was genuine. Eric then went online and posted Brooks' phone number and address as well as a rant about wanting to kill Brooks (Dylan later told Brooks about Eric's website). It was around this time that Eric's dad began keeping a journal on his behaviour. In 1997 Brooks Brown's parents filed a report with an investigator regarding Eric's website. During this investigation, Eric's hit list was found (a manifesto that listed everyone he hated and would like to kill), notes about bomb making were also found. After the shootings this report was hidden. Eric was very active on the Internet and both he and Dylan had their computers set up on a network to play Doom together. One of Eric's aspirations was to join the marines and he even took steps to apply. His application was rejected shortly before the shooting (Eric was unaware of this as the recruiter failed to get in contact with him) likely because he was taking an anti depressant called Luvox. Some people think that Eric may have had an idea that he would be rejected from the marines as his mother had mentioned to the recruiter whilst Eric was in the room that he was taking anti depressants. It was also theorised that the side effects of Luvox could have been a contributing factor to what happened at Columbine. Originally, Eric was taking Zoloft for a while but began to complain of depressed thoughts and feeling suicidal. His doctor took him off of Zoloft and gave him Luvox which was said to be no better. In Eric's autopsy a low level of Luvox was found in his system. It is not known if this was the right amount prescribed to Eric or that he was bringing himself off of the drug, nobody knows for certain because there's no information about how much his regular dose was. I couldn't find much information about Eric's funeral but most people believe that his family had a quiet service and he was cremated. We continue to be profoundly saddened by the suffering of so many that has resulted from the acts of our son. We loved our son dearly, and search our souls daily for some glimmer of a reason why he would have done such a horrible thing. What he did was unforgivable and beyond our capacity to understand. The passage of time has yet to lessen the pain. We are thankful to those who have kept us in their thoughts and prayers. Wayne and Kathy Harris - Apr 15, 2000. Back in 1999 you would've seen the words ''Trenchcoat Mafia'' all over the newspapers whenever Columbine was mentioned. So many stories were reported and fabricated. The Trenchcoat Mafia was just a group of kids who liked dressing in dark clothing and hanging out together listening to music and playing video games. Because of the way they dressed, rumours went around about them at school that they were satanic, bisexual and into knives. This was also reported to the media. Dylan was friendly with some of the members but they were not connected to the shooting as some of the earlier reports stated. Chris Morris who was said to be a member of TCM and worked alongside Eric and Dylan at Blackjack pizza, was initially arrested due to his connection to the shooters and had previously spoken about his hatred for Columbine High School. He was later released with no charges. They dressed in black but I wouldn't call them full on goths! They seemed to be more into Nine Inch Nails and German industrial music. If they were full on goths they would have dyed their hair black and been more into the same kind of bands and stuff that I liked. Marilyn stated in a Larry King interview that he has been blamed for 36 high school shootings. Along with The Trenchcoat Mafia, Marilyn was getting the blame for Columbine too. It was because of this that I bought his album to see what all the fuss was about. I ended up a fan as I'm sure a lot of other kids did. Eric and Dylan were not fans of Marilyn Manson. I read something years ago that someone found a MM CD in Eric's room that a friend had gave him to listen to but that was about it and that started off the media saying they were fans. I'm not going to say that Dylan and Eric weren't bullied at Columbine because numerous witnesses have confirmed that to be true. You could tell by how some of the students had described them after the shooting, they were described as ''wierdos'' and ''losers''. I think that was a factor in what they did. I've read a lot about the Jocks of the school, what they got up to and how they would get away with things because they put trophies on the school cabinets. Dylan and Eric had a great social life, lots of friends and were always hanging out. It seemed to be some of the people in the school that they had the issues with, who possibly made them feel that they didn't belong. Just because you may have a group of friends at school it doesn't mean that you won't get bullied. Cassie was a born again christian and was killed in the library. The media had reported at the time that she was asked ''Do you believe in God'' to which she replied ''yes'' and was shot. This was a mistake. The girl who had this conversation with Dylan was actually Valeen Schnurr. The media ran away with the Cassie story and soon there was books and movies made about it. Witnesses say that Eric and Dylan asked a number of students if they believed in God. There's a lot of obsession around The Basement Tapes, a lot of people would like to see them released. I looked into this and apparently all of the tapes were destroyed in 2011 (Dylan and Eric recorded 6 videos, a couple of which were filmed in the Basement near Eric's bedroom so the police called them The Basement Tapes). A lot of people, especially Columbiners believe that the police made several copies of these tapes and that they will surface online one of these days. Some of the transcripts are available to read online (which I have since seen recreated in movies). It puzzled me as to why they would release some of the transcripts but not the tapes? They have edited out a few details like names but there is still discussion of guns and pipebombs etc. Families of the victims, select members of the media and Brooks Browns' parents have viewed what was known by police as The Basement tapes.